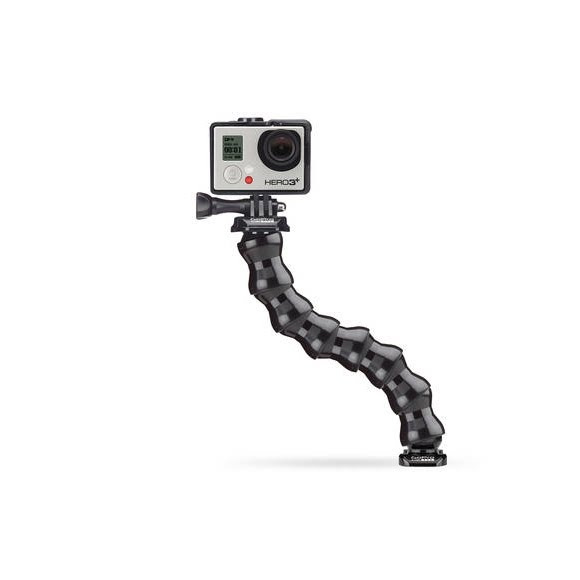 This bendable neck delivers versatile camera-angle adjustability, making it easy to capture a wide range of perspectives. Combine it with any GoPro mount that features a quick release base - including the Suction Cup, Jaws: Flex Clamp, Curved + Flat Adhesive Mounts and more - or use it on its own as a handheld camera grip. This bendable neck delivers versatile camera-angle adjustability, making it easy to capture a wide range of perspectives. Combine it with any GoPro mount that features a quick release base - including the Suction Cup, Jaws: Flex Clamp, Curved + Flat Adhesive Mounts and more - or use it on its own as a handheld camera grip. Multiple Goosenecks can be joined together for extended length and flexibility. Measures 8-inches.